This week’s instalment of the #SBIDinspire interior design series features a stunning property based in Kuwait City, perched on the cusp of the Arabian Gulf, in Kuwait. 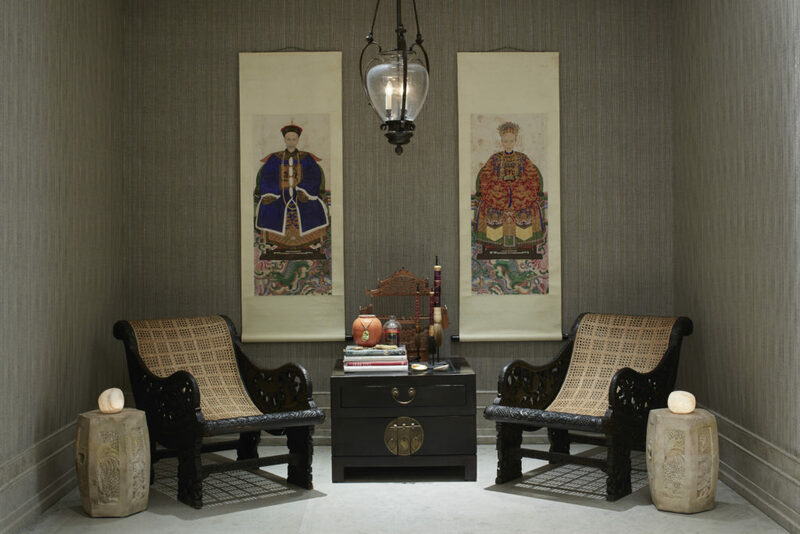 Amidst this beautiful little nation, Katharine Pooley helped to forge a lavish but tranquil family home where the family can entertain and showcase their extensive collection of artefacts and antiques, amounted over the years from all across the Far East. 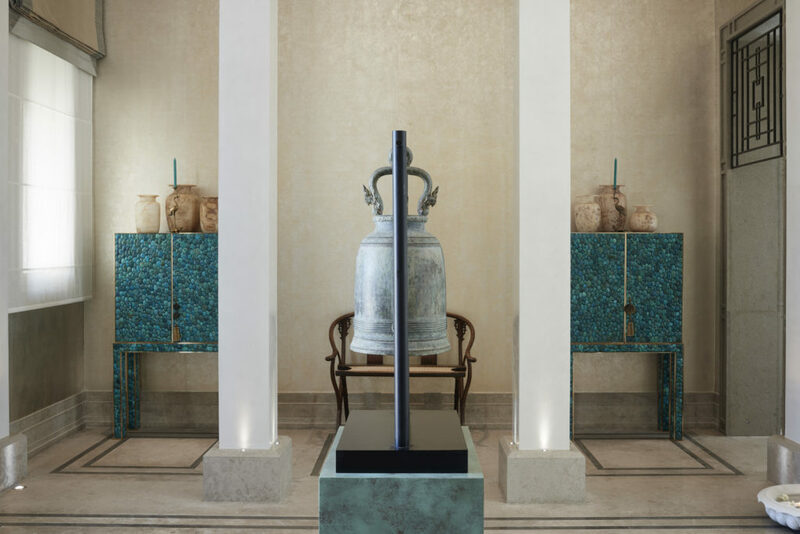 Katharine’s extensive travels inspired many of the spaces in this villa, along with the client’s own authentic Middle Eastern treasures. 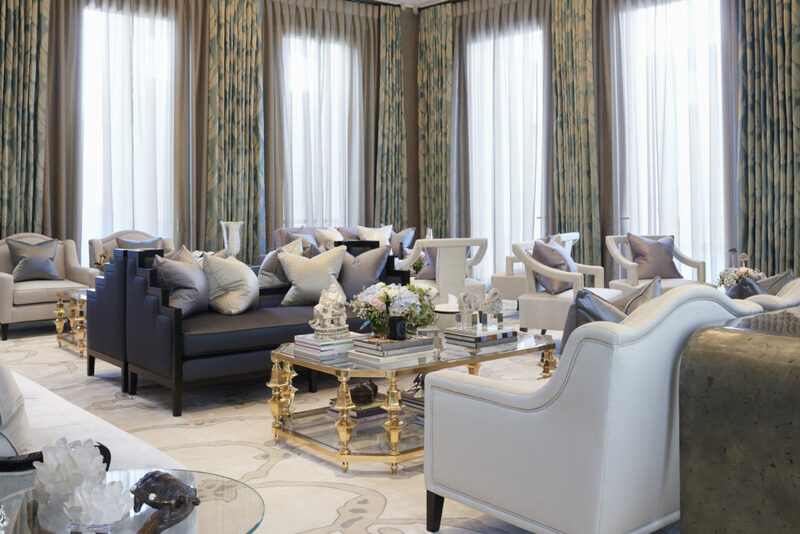 Katharine Pooley Ltd was appointed in 2010 to design all elements of a new build 40,000 square feet project for a Kuwaiti family wishing to create a bespoke 4 story home with internal courtyard and beautifully landscaped, oriental-inspired gardens. Along with the interior design of the house, the team were heavily involved in the design of the architectural detailing which included the design and coordination of the external architectural elements, bespoke cornices concealing AC units, intricate external and internal doors, glass cladded curved central staircase, balustrades, bathrooms designs and all marble selection throughout. 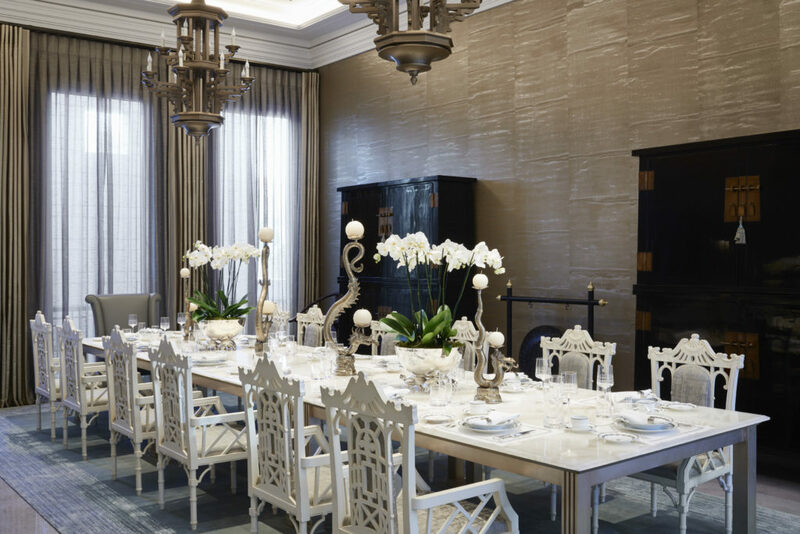 The client’s incredible collection of antiques and artefacts were a great source of inspiration for the furnishings and joinery of the property. These really helped to deliver the overall unique feel for the project and always gave the team an element of surprise and discovery to incorporate into the final build and design of this stunning family home. 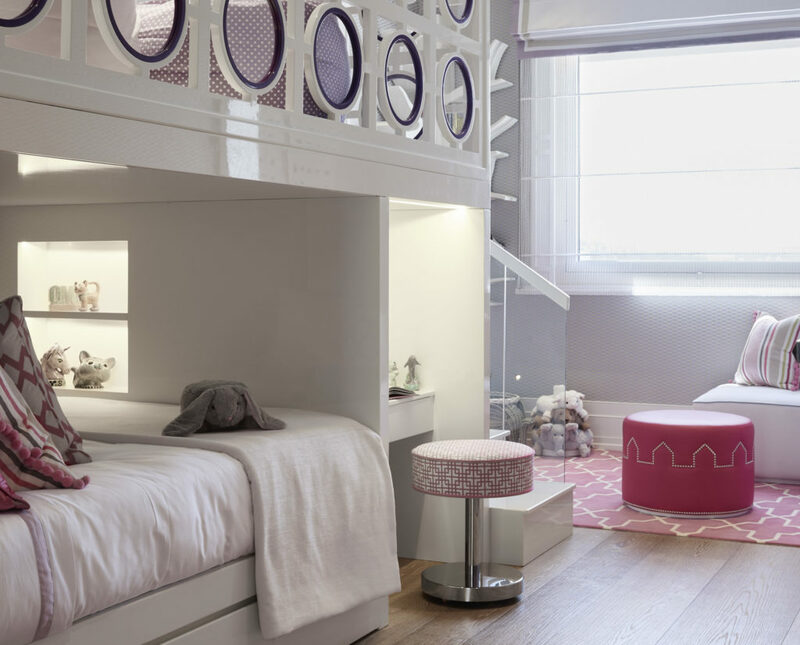 With over 5m high ceilings on the ground floor and extra-large proportions to a number of the rooms, most of the spaces needed to deliver both comfortable and impressive accommodation for all the family and friends to use. Great care was spent on the furniture layout and design which helped us to achieve both an elegant and impressive ambiance. 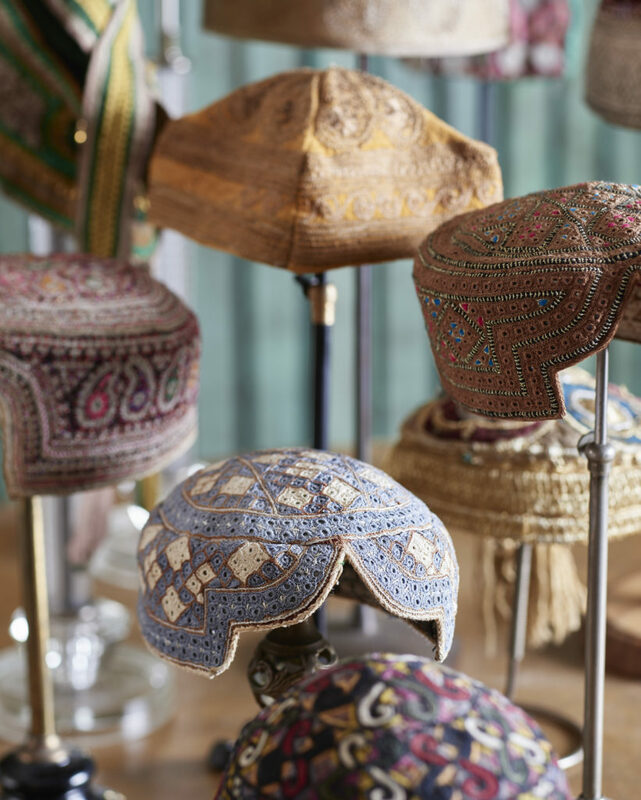 For decorative inspiration, the team looked to the places and materials I’d enjoyed while living in Asia. 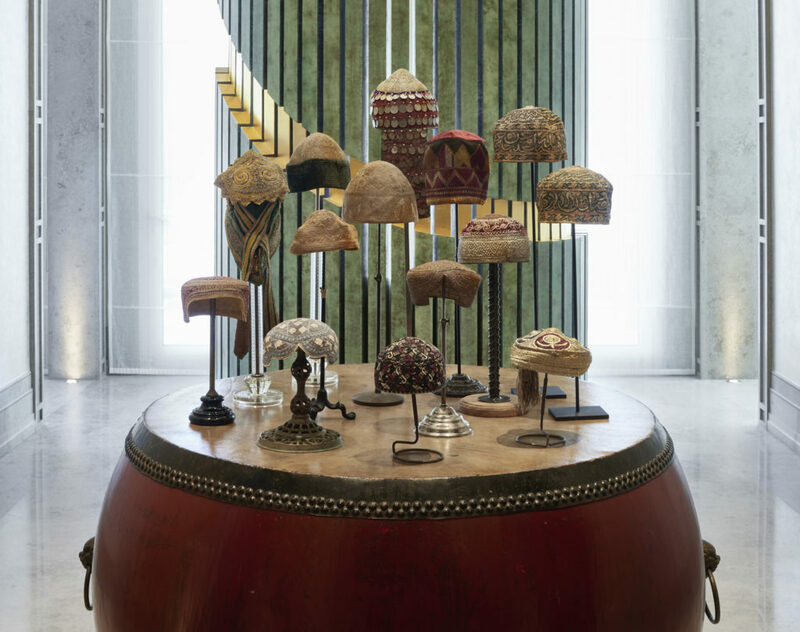 The resulting scheme is layered, fresh, and studded with remarkable bespoke pieces. 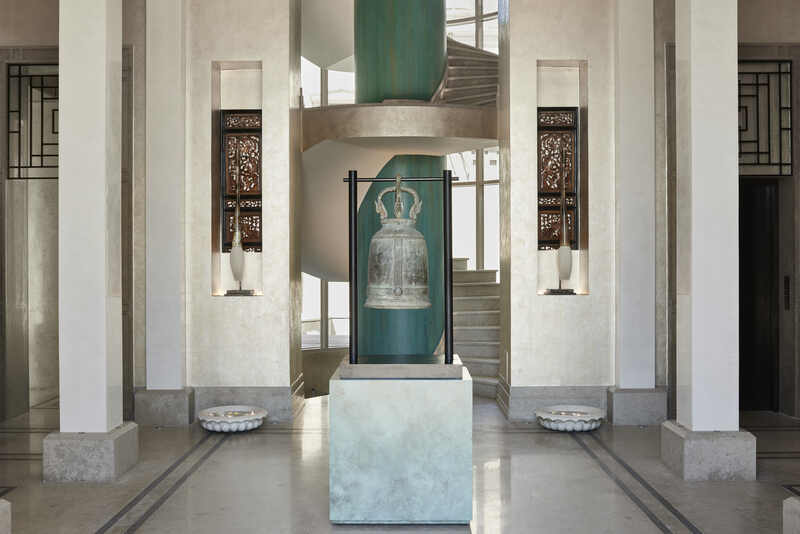 These include the central staircase column, which has a specialist finish inspired by the turquoise cladding of the Kam Tin cabinets in the entrance hall, and a copper and hold-leaf wall divider in the family entrance that echoes the movement of the rice fields in Vietnam. 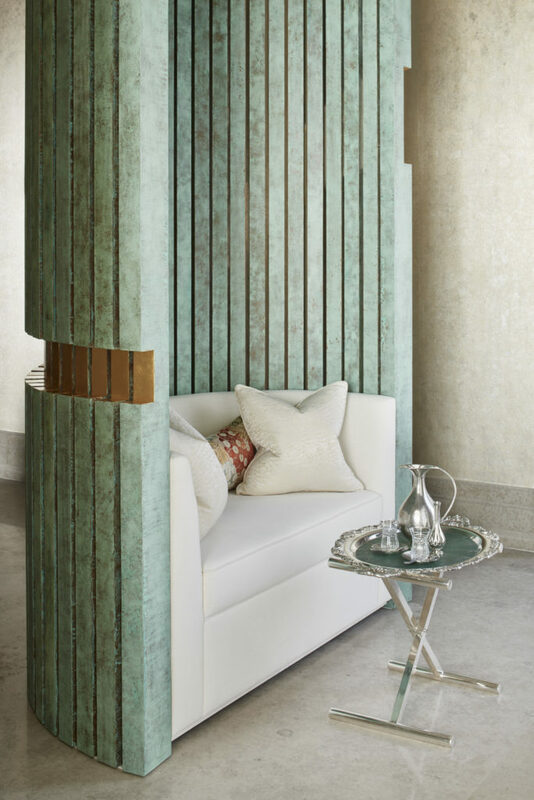 The International Design Awards are well-respected within the industry and Katharine Pooley Ltd has had a long association with the SBID, previously supporting the Student Awards and even receiving the Joint Overall Winner Award in the International Design Awards 2012. If you missed last week’s Project of the Week with the boutique style retail design of luxury accessory and lifestyle brand, kate spade new york, in Paris, click here to see more.